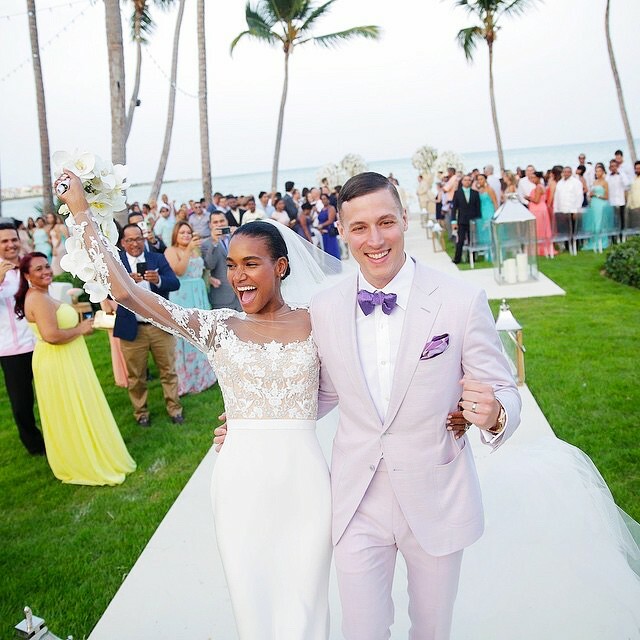 Victoria’s Secret Model, Arlenis Sosa and basketball player, Donnie McGrath walked down the aisle over the weekend in an island in Punta Cana. 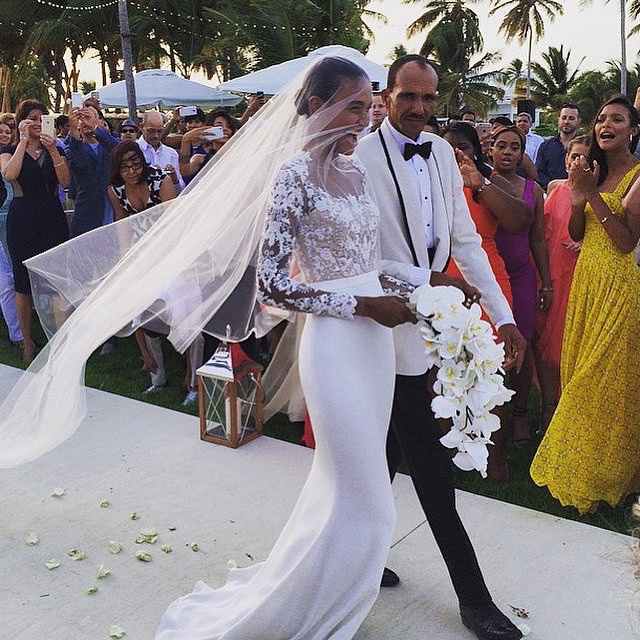 The bride, Arlenis Sosa wore the breathtaking Reem Acra gown from the spring/summer 2015 collection, and we are totally crazy in love with her choice of wedding attire. She couldn’t do any other thing than been cheerful in the long-sleeve lace gown walking down with a bouquet of orchids and covered with a long flowing veil.